We are engaged in offering our valued clients impeccable quality Aqueous Emulsions. 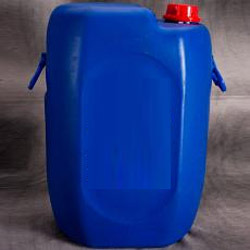 The offered emulsion is processed using superior quality chemical compound and advanced techniques under the supervision of chemical experts. The provided emulsion is tested on various quality parameters so as to check that it is pure in nature. In addition to this, we offer this emulsion to our customers at market leading prices. It Is Well Compatible With Solvent Based Dye Solutions. This Lacquer Gives A Silky And Smooth High Gloss To The Leather Surface, Combined With A Soft Handle. For Dilution With Water, Simply Add 1 – 2 Parts (As Desired) Water To 1 Part Lacquer And Stir Till Uniform. Let Stand For 10 Minutes, Stir Again And Use. 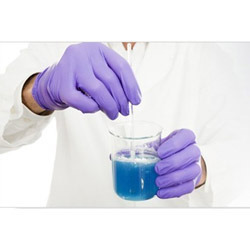 For Dilution With Solvent, It May Be Diluted With Up To 3 Parts Nc Thinner Or Butyl Acetate. More Than One Year If Stored Properly At Ambient Temperature In Supplied Packing. We are engaged in manufacturing, exporting, importing and supplying an effective range of quality assured Lacquer Emulsions that is used to coat shoe upper, softies, splits, garments and leather board. Our offered emulsion is processed using the best quality chemical compounds and innovative technology in line with industry norms. Moreover, we offer this emulsion in different packaging options to meet the varied needs of clients. Adlac Sm Is Nitrocellulose Lacquer Emulsion Which Can Be Readily Diluted With Water In All Proportions. Clear Glossy Film With Soft Touch. Can Be Used With Any Anionic Finishing Auxiliaries. Imparts Jetness With Standing Gloss. For Upholstery Finishing Can Be Used As Intermediate Lacquer. Good Dry & Wet Rub Fastness. Adlac Sm Is Used As Top Coat Best Suited For All Kind Of Leathers Such As Shoe Upper, Softies, Splits, Garments & Leather Board. Storage Conditions: Store In Cool And Dry Place. Looking for Aqueous Lacquer Emulsion ?